Some time ago I told my friend, E, I would make her cupcakes for her birthday. She and her husband are big Indiaphiles. She said she wanted caramel and she was having her birthday at a wine bar so I thought of a red wine caramel sauce I made for a pear tart a few months ago and loved. But how to Indian it up? The last cupcakes I made were ginger chai, so I wanted to take another direction. My answer was saffron! Saffron is one of the most highly prized spices in India. 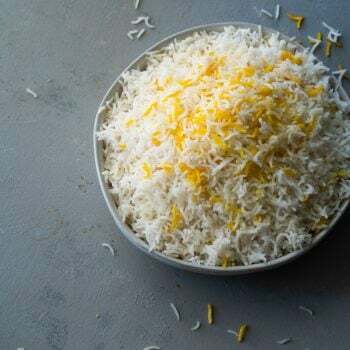 The best saffron in the world comes from the northern state of Kashmir. 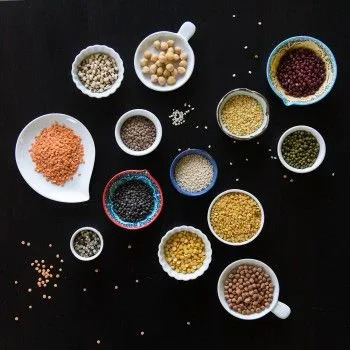 It is most often used in rice and desserts, you may recall it from my mom’s chai masala recipe. I decided saffron would work well with a red wine caramel sauce. After dinner and drinks at Finch’s wine bar in La Jolla, the group of us went back to E’s house for the after party and we ate the cupcakes. They were a big hit. 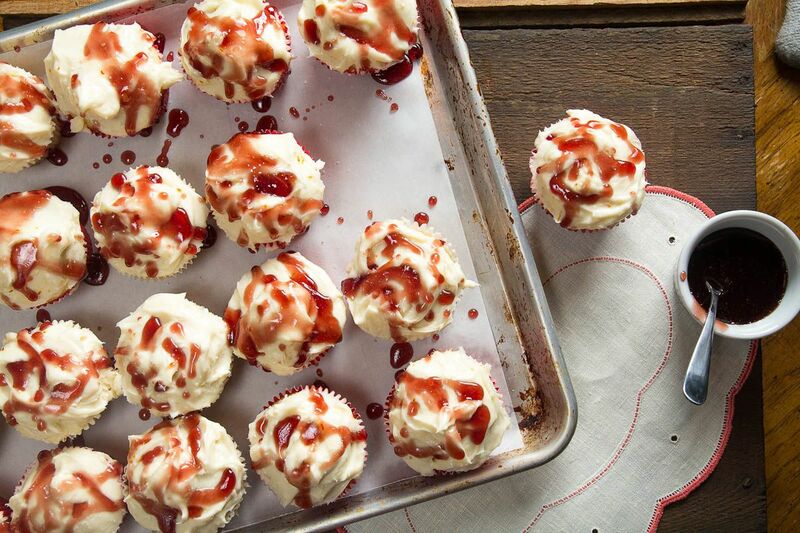 The only problem I had with them was the moisture in the cream cheese frosting made the red wine caramel sauce a little runnier than I wanted. To fix this I would suggest creating a well in the frosting for the sauce with the back of a spoon, as I did in the single cupcake picture that we took the next day. Heat 1/4 cup of the milk to a little warmer than lukewarm (doesn’t have to be any particular temperature just has to be warm) and add the saffron. Let soak while you prep the rest of the batter. 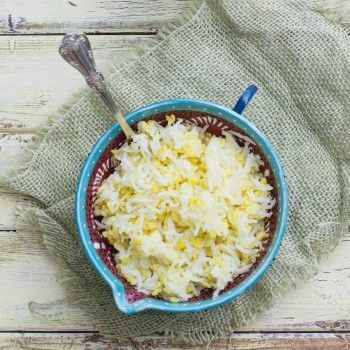 In a medium bowl, combine the flour, salt, baking powder and set aside. Add sugar and beat until creamy and well mixed. Add the eggs one at a time and beat into the butter and sugar mixture. Add in the vanilla, amaretto, milk and saffron milk. Mix in the flour mixture. Beat for about 30 to 60 seconds, until well blended. Pour the batter into each section of the cupcake pan, filling them about 2/3 way full. Bake for about 18 to 22 minutes. Test by inserting a toothpick down the middle of a cupcake. It’s done if it comes out clean. Beat together cream cheese and butter until creamy. Add the powdered sugar in batches and whisk in until well blended. Add in the vanilla and saffron. In an heavy bottomed pot, mix the water and sugar. Let cook over medium heat until the mixture turns golden brown. Do not stir. This will take about 10 to 15 minutes. Add in the wine and stir. It will foam up but don’t worry about this. Just carefully stir through it. If you have some crystals, stir till they dissolve. Otherwise, turn off heat. 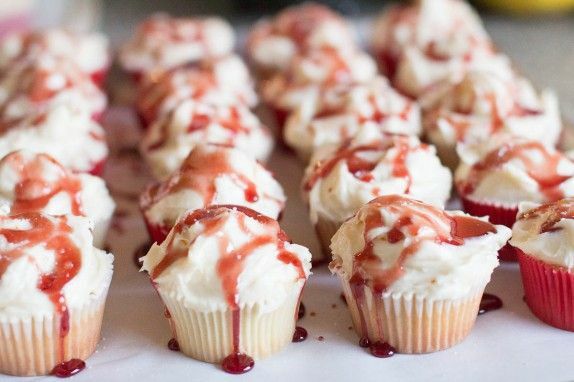 Let cool for a couple minutes and drizzle over the cupcakes. 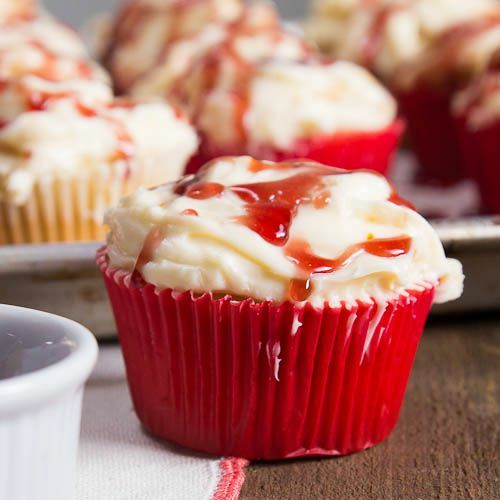 Frost the cupcakes with the cream cheese frosting and pour a spoonful of red wine caramel over. Sprinkle with a little flaky salt, if you like salted caramel. Disclosure: We are a member of the Amazon affiliate program. If you click on this link and make a purchase, we will get a small percentage of the proceeds. Comments on "Saffron Cupcakes with Red Wine Caramel Sauce"
Oh yum, what gorgeous looking cupcakes! saffron as a cake flavor... i've never thought of that. must be delish! Hi Leelabean! They are pretty yummy! :) The red wine caramel really works well with saffron. Thanks, Puja. E often tells me about your fabulous creations! Saffron cupcakes ...she tells me you are a good friend too! 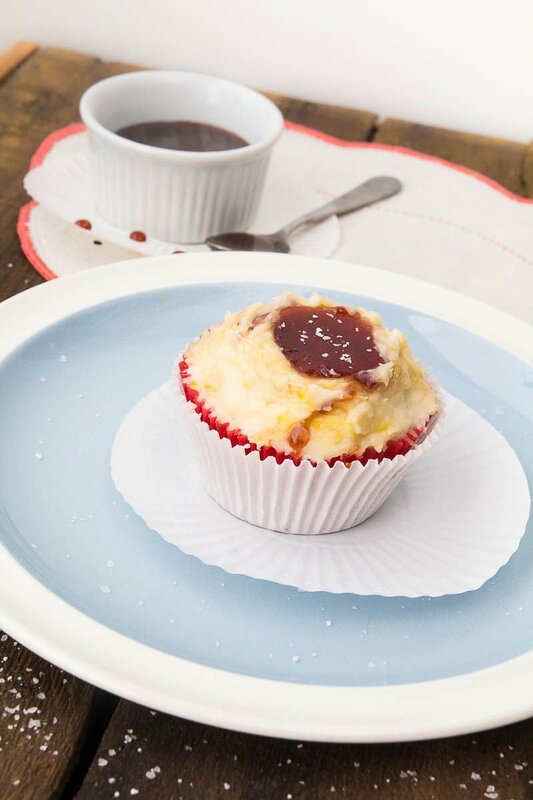 Do you need to serve the cupcakes immediate after preparing the red wine caramel sauce? 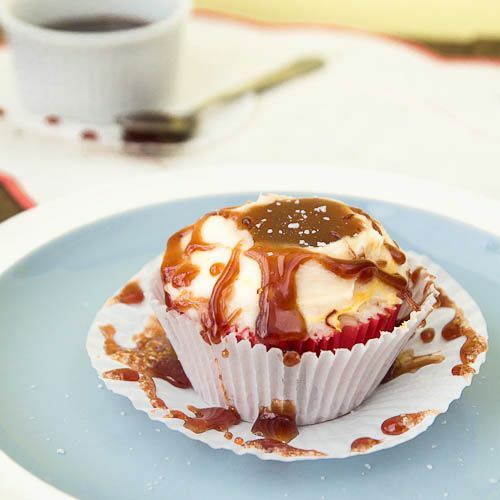 Nope, you don't have to serve the cupcakes immediately after you pour on the red wine caramel. You can leave them at room temp for a couple of hours or refrigerate them until you're ready to eat. The only thing is that if you don't plan to eat them right away, I would create a well in the middle of the cream cheese frosting to pour the red wine caramel into otherwise the caramel tends to run off.